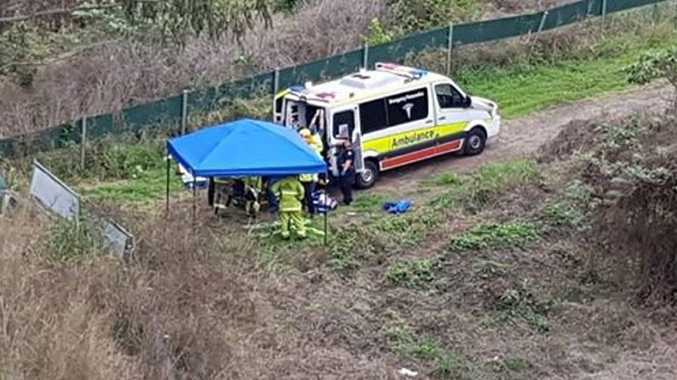 UPDATE 12PM: A 62-year-old man is in hospital in a critical condition after he crashed down an embankment on the Centenary Highway at Augustine Heights today. He was taken to the Princess Alexandra Hospital in a critical condition with head, chest, abdominal and pelvic injuries. 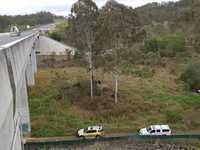 INITIAL: AT LEAST one person is critically injured after a vehicle crashed down a 25m embankment on the Centenary Highway. 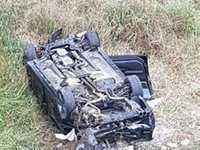 Emergency services were called to the single vehicle crash at Augustine Heights at about 10.30am. #AugustineHeights - paramedics and emergency services are at the scene of a serious single vehicle crash approx 30 metre drop down an embankment on the Centenary Highway at 10.32am, One patient has suffered critical head injuries and is being treated currently. One patient has suffered critical head injuries and is being treated.